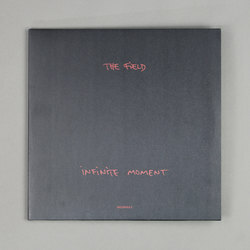 The Field - Infinite Moment. Vinyl LP, CD. Bleep. Since 2007 The Field has consistently taken his streamlined approach to minimalist trance-techno deeper and deeper. With Infinite Moment, he reaches a pinnacle point of the cascading light into dark sound that made him a household name around these parts. 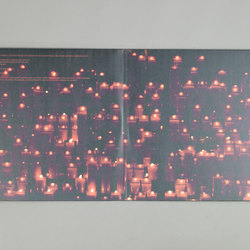 While at times his previous album The Follower slipped into darkness, Infinite Moment makes its journey toward the light with a true sense of mind-expanding horizontality, split across its six endlessly pulsing movements, each track engaging the metamorphosis to come, like a larvae pupating and reemerging weeks later from under rough bark in the form of a vividly coloured butterfly. The Field's slow-motion approach to beat sculpting offers a glimpse into the inner workings of his studio sessions: acid basslines move with stealth through the ever-evolving rhythmic puzzles that create these endlessly buzzing chords, trampling drums and all-consuming drones. In Willner's own words, "the threshold of creating something new had to be broken", as had been done with his past albums, including his acclaimed debut 'From Here We Go Sublime'. 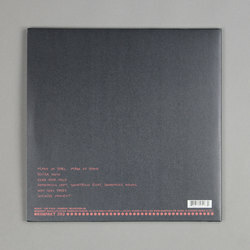 On this release in particular "stepping outside of the studio opened up fresh perspectives on the creation of new music" he confesses, and it was the opening cut, 'Made of steel, made of stone' - the first to be finished, that got him into the flux of things, making the "making of the rest of the album easier as I went". 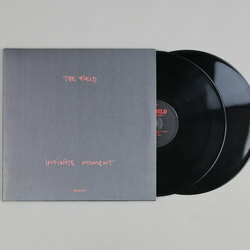 Much like the album's title suggests, Infinite Moment perfectly crystalizes that moment of rushing into a euphoric moment that is such an integral part of the proper techno, trance and essentially all hypnotic electronic music experiences.